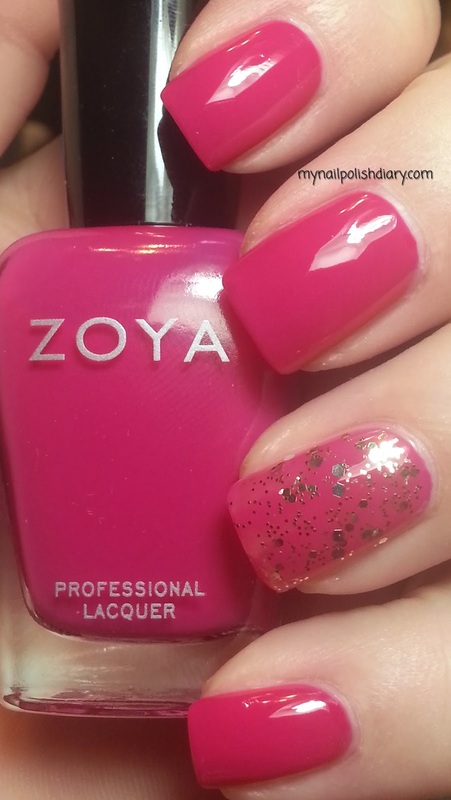 My Nail Polish Diary: Zoya Dana with OPI Pop The Cork! Zoya Dana is a lovely berry pink creme. Dana was released in the Sparkle and Flash collection in the summer of 2010. It's, once again, in the shade of pink that I adore wearing. This is two coats with top coat. It applied just perfect! OPI Pop The Cork! was a limited edition release for the Sally Beauty Supply 50th anniversary celebration. Pop The Cork! is gold hex and gold micro glitter and makes a perfect accent nail. Hi there, i would like to ask if you are willing to sell OPI Pop The Cork! to me? I am residing in Singapore and will pay for the shipping fees. Pls let me know :) Thanks!